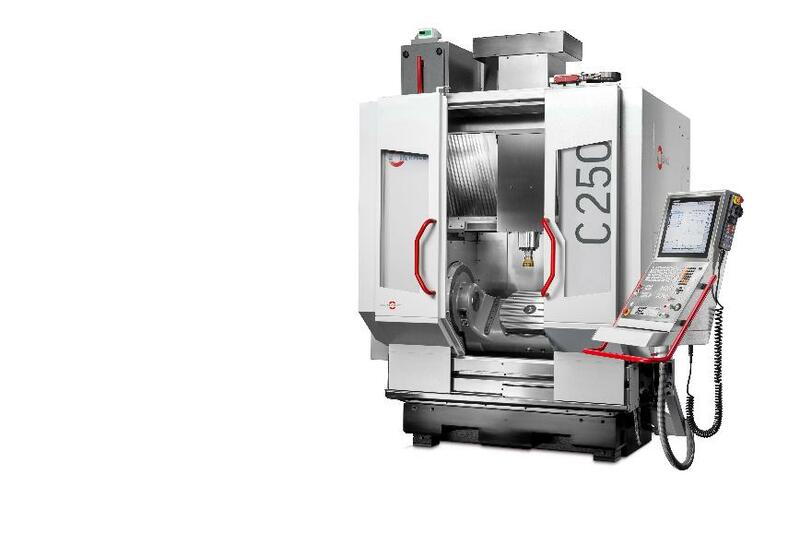 Within the Hermle range of models, the C 250 is an entry-level model into the world of 5-axis & 5-sided machining. Nevertheless, the “large” models are in no way inferior. Thanks to the large swivelling range of the workpieces in the working area, the utilisation of the complete traverse range and the large collision circle between the table side walls, the C 250 offers the largest working area relative to the installation area. The C 250 is designed for daily use – maximum user-friendliness thanks to pivotable control panel and minimum table distance from the operator and optimum loading height with option ofloading by crane. Maximum precision thanks to the Hermle swivelling rotary table concept. The table variants of the C 250 therefore stand for the highest quality and optimum use of material – from the cast housing to the installed gear motors: Made in Germany – made in Gosheim.